Nigerian elections are monitored by the national assembly. “Incumbent Goodluck Jonathan is facing a strong challenge from former military ruler Muhammadu Buhari. The US and UK in a joint statement expressed concern over possible ‘political interference’ in the count. 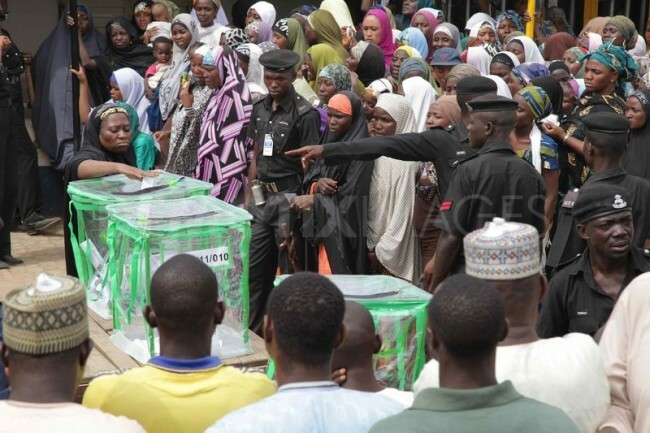 Voting over the weekend was marred by technical hitches, protests and violence linked to Boko Haram. ‘So far, we have seen no evidence of systemic manipulation of the process,’ the statement from UK Foreign Secretary Philip Hammond and US Secretary of State John Kerry said. Voting was extended for an additional day due to problems with the new electronic card readers, which was introduced to prevent fraud. Follow the Burton Wire on Instagram or Twitter.